To be published by publishing imprint Ecco, The Oral Biography will be a compilation of stories shared by his closest friends. 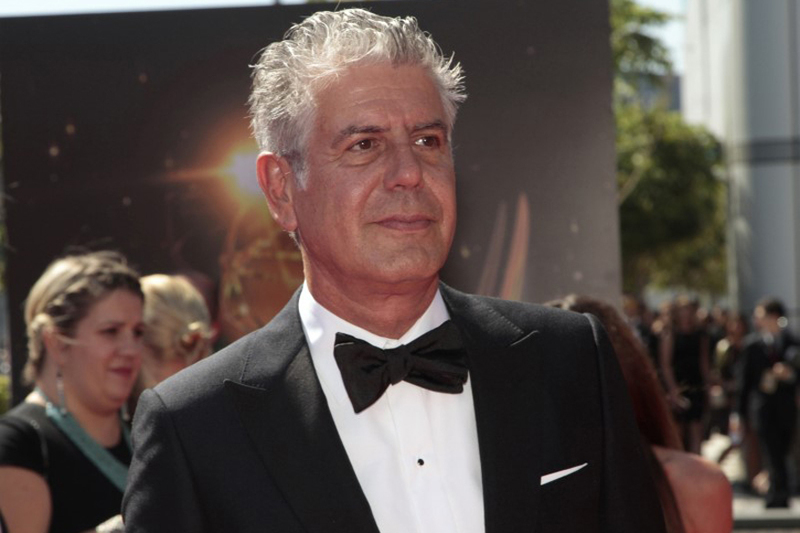 An authorized biography of the late Anthony Bourdain is in the works and set to hit bookshelves next fall. To be published by publishing imprint Ecco, The Oral Biography will be a compilation of stories shared by his closest friends. The project was first spied by cookbook writer Paula Forbes on Publisher's Marketplace, under the heading "Deal of the Day" and circulated on Twitter. Bourdain's long-time collaborator Laurie Woolever will be editing the book. [post_ads]Woolever confirmed the news to food blog Eater, in a statement: "After working with and collaborating with Tony since 2004, I'm honored to now be working with his estate, and talking to the people who knew him best, in order to share the story of a life that influenced so many people, in so many ways, all across the globe." Bourdain's death by suicide in France three weeks ago sent the food, travel and media world reeling in shock. The travel host was in Kaysersberg, France where he was shooting an episode of his CNN travelogue Parts Unknown. In an interview with Vulture, editor Daniel Halpern -- who published the bestselling memoir Kitchen Confidential that would catapult Bourdain's career -- said Bourdain had been working on a collection of personal essays delving into his personal experiences of being on the road, traveling and having a family, just before his death.